Is This Too Much Bacon? Wait… There’s such a thing as TOO much bacon??? I don’t think we got that memo. First, some quick background. 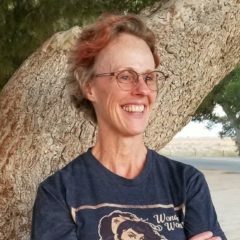 I’m writing this post as I’m in Salt Lake City for FanX 2018. 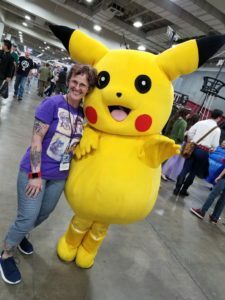 What do we do at FanX? 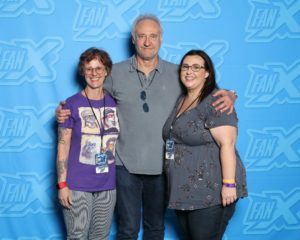 Well, maybe we pose with the incomparable Brent Spiner. Maybe we grab Pikachu for a candid pic. Of course, I do my best to stay on track with my way of eating and lifestyle. Here, I’m manning (womanning?) 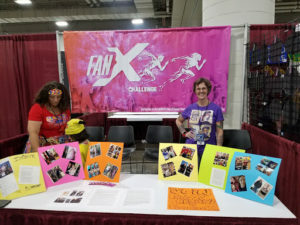 the FanX Challenge Booth – a group of folks trying to get healthier with the added benefit of being able to fit in their desired costumes. Now, back to our tale of too much bacon. We went straight from the airport to the market so we could stock our fridge away from home with the good stuff! We encountered some strange looks and some big attitude from the guy at the meat case when I asked if there were any pork chops in the back with the the fat still on them and you should have seen his expression when I asked for chicken thighs WITH bones and skin. I hope his attitude was because he’d probably gone to a lot of trouble to debone and skin all those little chicken thighs in his case so people (other than us, of course) could eat healthy. And we bought bacon. 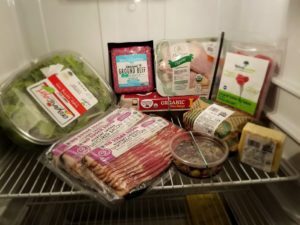 Anyway, we got our shopping done and stocked our fridge away from home with our Keto friendly LCHF (low carb, high fat) bounty. And we cooked the bacon. There are lots of distracting pseudo foods at these sorts of events. Sometimes we can feel like we’re missing out. 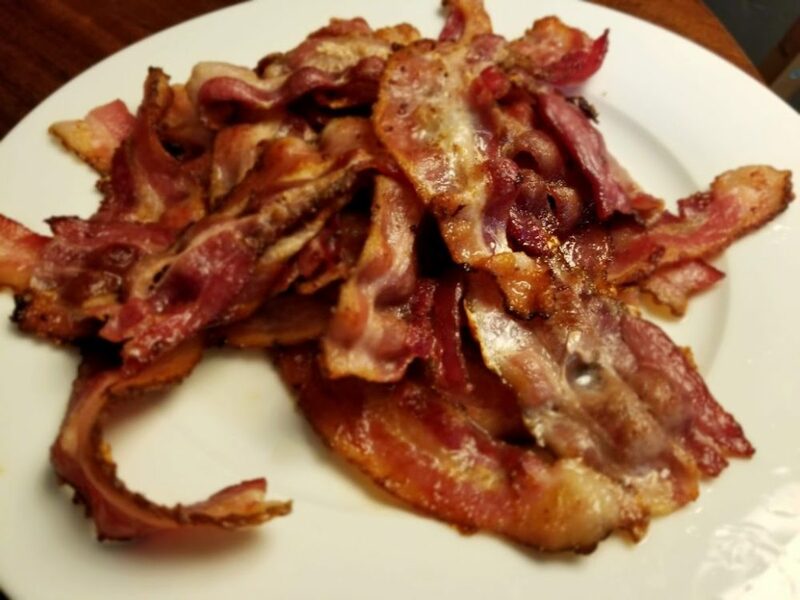 But then there’s the bacon. Previous Previous post: Dinner Was Good!